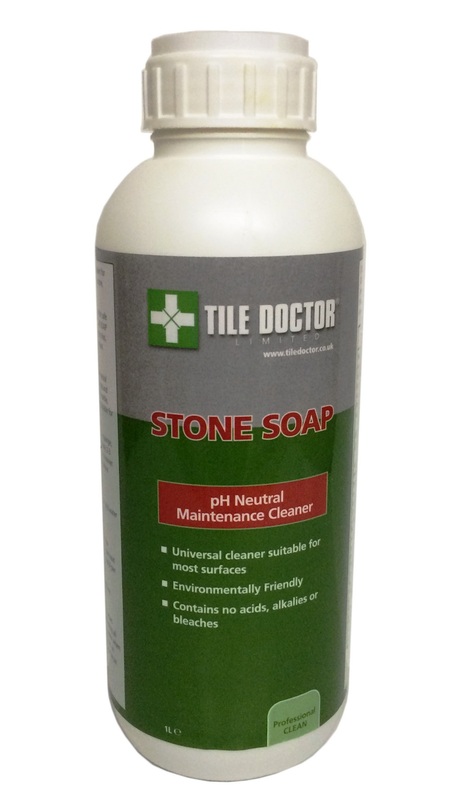 Tile Doctor Stone Soap is an after care cleaner for natural stone tiles (Honed or Polished) where a build up of patina is required thus protecting the existing sealer. Additionally it’s PH Neutral formula is environmentally friendly containing no acids, alkalies or beaches, universal and suitable for most surfaces. Stone soap is excellent for for Light Duty cleaning on Ceramic, Porcelain, Natural Stone, countertops and much more. Stone Soap is Biodegradable and 100% Organic for safe use for everyday cleaning and maintenance; especially formulated for use on Marble, Limestone, Travertine and most natural Stone surfaces, also suitable or Ceramic, Glass, Plastic and Enamel surfaces.